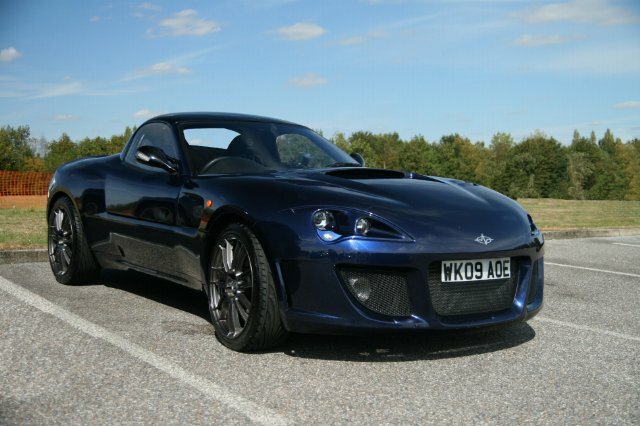 I had a VXT and then a VXR and I believe I saw a thread on the VX220 forum about the Murtaya a Subaru based kit car. I went down to Newquay where the company Adrenaline Motorsport is based and had a go in the demo car and was really very impressed, Neil the MD, can REALLY pedal a car but even when I had a drive I could get a good turn of speed out of it. Getting back into the VXR seemed like I was getting into a cheaper, rattlier less well made vehicle with real wind noise problems! A few months later I was gently following a lady in her Scoob wagon around a roundabout in the rain and as she went around it I had one of those 'moments'! I pretty much decided that I had had my time in the VXR and did not want to be the t*sser who crashes one of only 65 cars. So I got a Murtaya. Delivery took a while but I was prepared for that and made it clear that delays were no bother while I had something to trundle about in (Mondeo). Plus the guys would send pics over every now and then of how my car was doing. I went down for a 'fitting' for seat position etc and to make sure I was happy with the car. I did take a LONG time to decide on colour, in the end it was between dark green and dark blue. I wanted something that would not say to the Bib "Hello, please nick me!". It ended up being blue that I chose! - Tax and especially Insurance are MUCH cheaper. It is a GRP composite monocoque with a 2.5l race spec Subaru block with lightened flywheel, Steel crank and Forged pistons. The donor Subaru was a type RA and so I had the DCCD torque split control and type RA gearbox from that which has now been replaced by a WR1 box still with the DCCD. The hard top lifts off and even when travelling at speed with the top off wind noise is incredibly low. The whole things weighs about 900kg and now has ~370+bhp and 395 lb/ft with a switchable map to 'economy'. 'Economy' power can be translated as insane and the full lot is bonkers³ in the extreme - the AMS demo car weighed more than mine and had less power (340bhp) and managed a timed run to 60 of 3.5s with two gear changes. It is not as numb as I thought 4wd and power steering would be at all, it is very much a car you pick up and throw down the road hooligan style and I get the impression it would be much happier if I went sideways everywhere. The power is really insane, it is just SO quick and feels more like a motorbike in terms of overtaking. The whole thing is very planted and solid feeling. I did not want to build the car myself so instead I asked for some stuff to be left not finished so that while I can drive around there are still things I can do so that I can tinker about in a pathetic kind of way, so little bits of trim here and there get done every now and then which is nice to do knowing that I am not messing with a 'standard' car and no-one will tell me I should have done this or that. I did love the VXs a lot, they really are very pretty cars too, I know the Murtaya isn't (to guys anyway) ALL the girls I know say the Murtaya is much better looking than the VX but then, what do girls know? The performance in the Murt is unbelievable, 'epic' as the Clarkson would say so I am happy with my choice. Plus no more Vauxhall dealers!! Subaru must wish that they made this car. Hiya, are you the guy we met at the Pistonheads Kent Run, aboit 5am? Nice car. We were in a dark green MX5 as my R1 Phoenix did not want to get up as early as us! The power-to-weight must be incredible, ENJOY! Yeah that's me - that was a great run wasn't it! Really looking forward to next years one - I had not had the uprated injectors, turbo and gearbox back then either. Hope your wheels are sorted for next time! Thank you for sharing your experience. I would love to build one of these, but don't know if I could find the time. Subaru ownership is addictive, and I'm sure that the Murtaya is even more so. Looks very nice in that colour. Should be a proper weapon with that spec! Looks good in that blue, very similar to my Legacy - Subaru colour 14L? Nick, I admit to being quire rude in the past about the styling of the Murtaya, and sometimes the sheer amount of 'puff' posts from Neil get to be a tad annoying. However this thread started by you is a great read. You are obviously enjoying the car lots, and it certainly comes across as bonkers fast and good fun as well. It's a great advert for kit car ownership in general and a proper good read about the Murtaya in particular. Keep 'em coming, it's almost making me want one! Saw your car today at the Sunday Service .. looked very nice. Are the door handles not on the door and actually near the front wheel arch? Glad it's all of interest! The black bits near the front wheel arches are the bonnet catches, there are no door releases on the car, it's opened from the key fob which is something I think is quite cool (I am such a child). The only down side is you have to be careful about shutting the door with the keys in the car! I will get round to cleaning it too at some point - it's filthy at the mo! I hope I kept everyone amused by missing third gear on the way out today - what a t*sser! Good to see eveyone out and about in their various bit of kit. Good to hear--Well, all but the leaks...Where is the water coming in? Between the side windows and the roof, or the windscreen and the roof? Apparently you can adjust the side windows' angles in and out so as to keep the windows tight as the rubber seals soften over time...But I've been curious about this myself. P.S.--it looks like you fit in some extra lights in the front vents--nice! The wife has promised I can make one when the kids are old enough to look after themselves hence the 2015 dateline, at least that gives me chance to save up for it. Mike - don't worry leaks are not serious and are being brought under control, one was between roof and top of windscreen - sealing rubber needed a bit of relieving (?!) I think that one is sorted now. The other is where the side window meets the roof/meets the top of the window and both my VX's leaked there and so does the Elise, Elan S2 and a few other bigger named cars. I have plans for that bit, it is not that serious, only a few drops every now and then. Bigger problem was leaving the window open in the p*ssing rain!!!! No extra lights behind the grill, that is a cold air feed direct to the air filter - reduced the intake temp by quite a few degrees! I am also considering a slit in the front of the bonnet, kind of similar to the GT2 to get more cold air over the top of the block. Big thanks to those at Goodwood who gave me a bump start - I was a tw*t and had knocked a wire off the starter motor, it is back on now and all is good! Never let me near a car! OMG, first time i have seen one in the flesh, Cloudier Shifter (my daughter) calmly went around the CP identifying all the cars, but asked me "whats that!" when you arrived, had to admit that i didnt know, dont take this badly, but i thought it was a highly modded toyota/mazda hybrid. Factory quality with aftermarket upgrades. Well done you and well done the design/builders quality job! Gnits, firstly, nice car! . 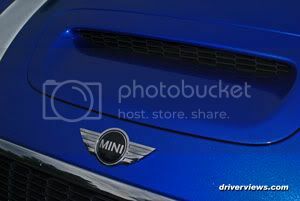 For your bonnet intake, would a bonnet intake piece from a Mini Cooper S work? If the contours match up it could be a nice ready made solution, instead of cutting and moulding something in from scratch. Just an idea. AJPrice - nice! That is almost exactly what I am looking for!! Might have to have a mooch through the scrap yards in the new year for one of those. Thanks! The Murt is not a common car and have not met many who know what it is straight off so don't let your daughter feel bad about it! Can't say how long it took really cos there was other stuff they had on so I said it was fine to pause the build of mine - I know that does not help, sorry. Been out for a play in the snow and did not crash either - car is still bloody great even in this weather!!! So it has come to this... no luck finding a job means I have no choice but to sell the Murtaya.